It’s National Poetry Month! 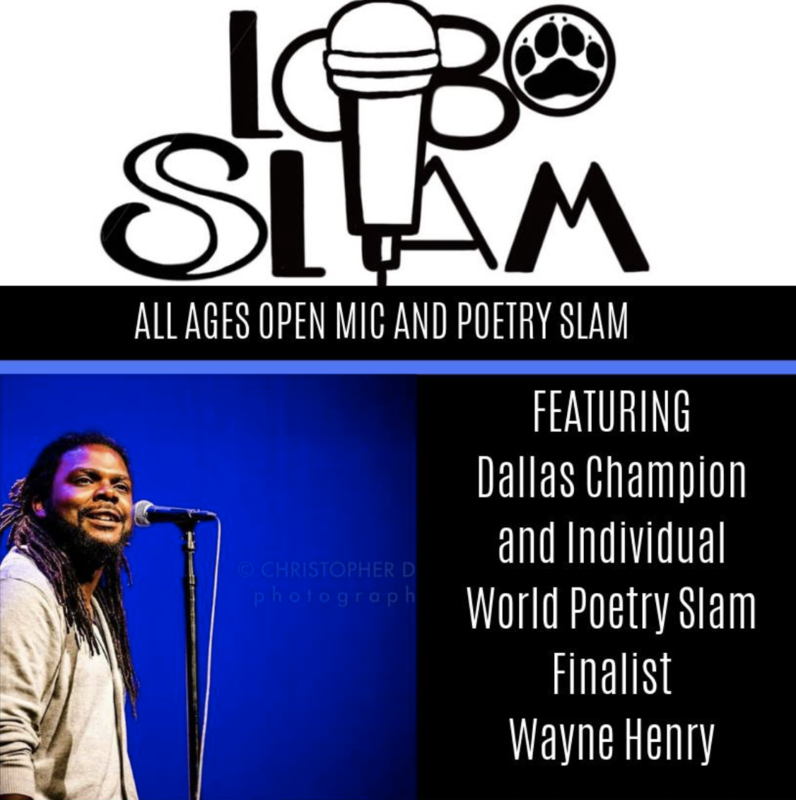 So come celebrate the impact poetry has had on your life by partaking in our monthly open mic and slam, Lobo Slam! And your feature is incredible this month! The 505 welcomes Wayne Henry! Born and raised in South Central Los Angeles, Wayne Henry was exposed to a melting pot of different cultures which has allowed him to have a broad canvas for his work. Henry has become a passionate poet who writes each line to watch it come alive through poetry. Moved to Dallas Tx to pursue a profession career in spoken word poetry. Dedicated to bringing awareness to issues such as mental health, oppression, depression and concepts of spiritual growth. Aside from poetry, working with the youth has been what Wayne Henry feels is his crowning achievement.